June has always been a splendid month to visit Italy, and discovering new vistas certainly adds to the experience. And when you add hearing new music to the equation the opportunity is further elevated in the realm of memorable experiences. The city of Bari is a lovely burgh of 350,000 inhabitants on the Adriatic coast of Italy. Imagine the map of Italy in the shape of a cobbler’s delight, cast your eyes southward from the immaculate styling of that boot to assess its sturdy heel and you’ve located Bari’s geographic locale in that beautiful country. Past experiences in Italia had included several trips to that country’s signature Umbria Jazz festival, with splendid sidebars to Florence, Rome, and other enchanting towns along the Umbrian countryside, including one memorable experience at the Umbria Jazz winter edition traveling with Randy Weston. One Umbria adventure took us to the northern coast and what some refer to as the Italian Riviera and the Adriatic city of Fano. Bari promised a brand new experience in a different sector of Italy, one that my wife Suzan particularly relished with her African American father/Sicilian mother family, Bari brought us one step closer to part of her ancestral lineage, offering yet another opportunity for her to exercise her love of the Italian language she heard and spoke as a child in the home of her Sicilian grandparents in Buffalo. Back in ’99 and the early ’00s when I was producing a show called Jazz Ed(ucation) for the late jazz channel BET Jazz one of out most vital shoots was the 2-week summer jazz colony then operated by the Thelonious Monk Institute in the pristine mountains of the Aspen/Snowmass, CO area. I could go on for days about how the core of green young musicians then hard at work learning their craft during those two week sessions are now some of today’s most vital 30-something musicians and music educators. Just for starters they included Marcus & E.J. Strickland, trumpeters Avishai Cohen, Jason Palmer, and Mike Rodriguez, drummers Otis Brown 111 (whose debut recording as a leader arrives from Blue Note this summer) and Damion Reid, vocalist-educator Rosanna Eckert, pianists Danny Grissett and Martin Bejerano, saxophonists Walter Smith and Patrick Cornelius, guitarist Randy Napoleon, trombonists Andre Hayward and Vincent Chandler, and bassists Zach Pride and John Sullivan. One of the greenest was saxophonist Joseph Omicil, who readily admits to being one of the least experienced players in his class. Yet he’s one who has kept in touch as he matriculated through Berklee and continues an evolving career as a multi-reedist. 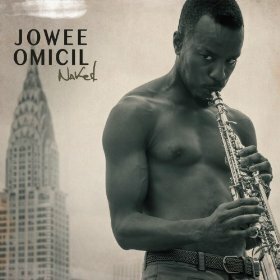 Professionally known as Jowee Omicil, Montreal-raised and of Haitian descent, the Miami-based reedman has just released an arresting new record simply titled Naked (www.joweeomicil.com). For our Jazz Ed shoot I recall Jowee’s modest, thrilled/slightly terrified-to-be-there posture. Fast forward to 2014, after matriculating at Berklee, Jowee is developing a positive career arc, based in Miami, working internationally with his quartet. His new album Naked is his most creative endeavor to date, with original, strikingly spare tributes to Trane, Ornette Coleman (who has befriended Jowee), and his dad Rev. Omicil. We connected again at the break of June in lovely Bari – Jowee to play some people music thoroughly immersed in the improvisation principle that moved a happy Bari audience to leave their seats for an impromptu jump-up at a stone amphitheater adjoining… a shopping mall! Your correspondent landed at Bari in Jazz (via Jowee’s referral) to deliver a presentation on Jazz in the Caribbean at the local conservatory. The cathedral in Bari; always a spiritual and classic artistry highlight of any Italian town. You do know Latin Jazz – also referred to as Afro-Cuban Jazz or Afro-Caribbean Jazz – right? Of course you do; not only is that the most extensively recorded stream of Caribbean jazz, not only has that sound long been the signature pulse of jazz in the Caribbean region, it has for the most part been the only stream that has dominated the literature and prints, with John Storm Roberts’ classic treatments The Latin Tinge and Black Music of Two Worlds leading the way. Jowee Omicil being of Haitian descent, which is reflected in certain folkloric qualities of his music, and the emergence of such vital Caribbean voices as saxophonists Ron Blake (Virgin Islands), Luther Francois (St. Lucia), Jacques Swartz-Bart (Guadeloupe), trumpeter Etienne Charles (Trinidad & Tobago), drummer Dion Parsons and DC-based trombonist Reginald Cyntje (both Virgin Islands), such vets as Jamaica-proud Monty Alexander, and Haitian pianist-festival producer Mushy Widmaier, and such second generation artists as UK vocalist Zara McFarlane (Jamaica) and tenorist Courtney Pine (Jamaica). My research was also inspired by a recent reading of Heather Augystyn’s fascinating bio on the late, enigmatic Jamaican trombonist Don Drummond (Don Drummond: The Genius and Tragedy of the World’s Greatest Trombonist)- the ska pioneer-with jazz chops. As a result my gaze turned beyond the homes of Latin Jazz – Cuba, Puerto Rico, and the Dominican Republic – to the jazz flavors of the English and French speaking islands, particularly Jamaica, Trinidad, the Virgin Islands, Haiti, Barbados, Guadeloupe, Martinique and St. Lucia. Curiously this sector of jazz in the Caribbean has been a virtual underground phenomenon when compared with the robust research and subsequent coverage of the Latin Jazz sector. Kicked-off by Jowee’s kinetic, crowd-thrilling performance, what ensued was a week of Bari in Jazz concert performances at several city spaces, including the stone shopping mall amphitheater, Bari’s waterfront, a military installation, and a closing weekend at the green space dubbed the Summer Music Village. The latter also encouraged some interesting visual moments as mid-set the local light rail trains occasionally whizzed by stage-rear from the adjacent station. From a personal perspective this was an experience in the largely unknown as, save for Jowee, these were bands from across Europe that were new to these ears. A couple of the bands bore the stamp of Afrobeat, including the Helsinki Cotonou Ensemble (Finland). The African altoist in Cotonou was yet another Motherland presence in a city with a larger African resident presence that I’d experienced in previous Italy experiences. That presence was most strikingly embodied in the director of Bari in Jazz, our affable host Koblan Amissah. As Mr. Amissah related to my wife, he arrived in Bari 22 years ago from the Ivory Coast to attend university, and as he laughingly related fell in love with pasta and made a new home. One lovely afternoon Koblan hosted our small group of journalists on a revealing road trip to the nearby town of Alberobello with its striking medieval-era trulli roofscapes. 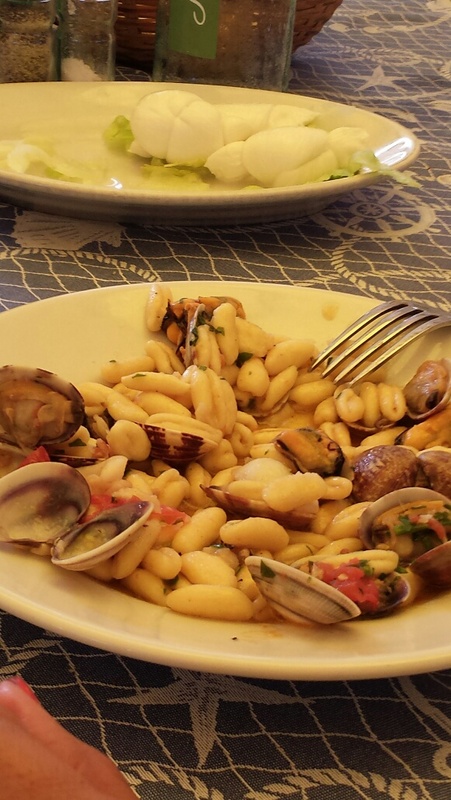 On return he hosted an amazing grilled fish and pasta feast at Osteria al Gambero, a seaside Bari tradition. Helsinki-Cotonou Ensemble’s latest release Beaucoup Depiment! The French band Supersonic is a project led by the animated alto saxophonist Thomas De Pourquery. Performing from their record Play Sun Ra, the band breathed new life into selections from the enormous book of Le Sun Ra, a life liberally inhabited by the oft-overlooked brand of humor that Ra’s musicians always brought to the bandstand. “Love in Outer Space” was a particular highlight of their set amidst the occasional commuter train whizzing by in the background, a scene I have no doubt the original Arkestra would have taken full advantage of. 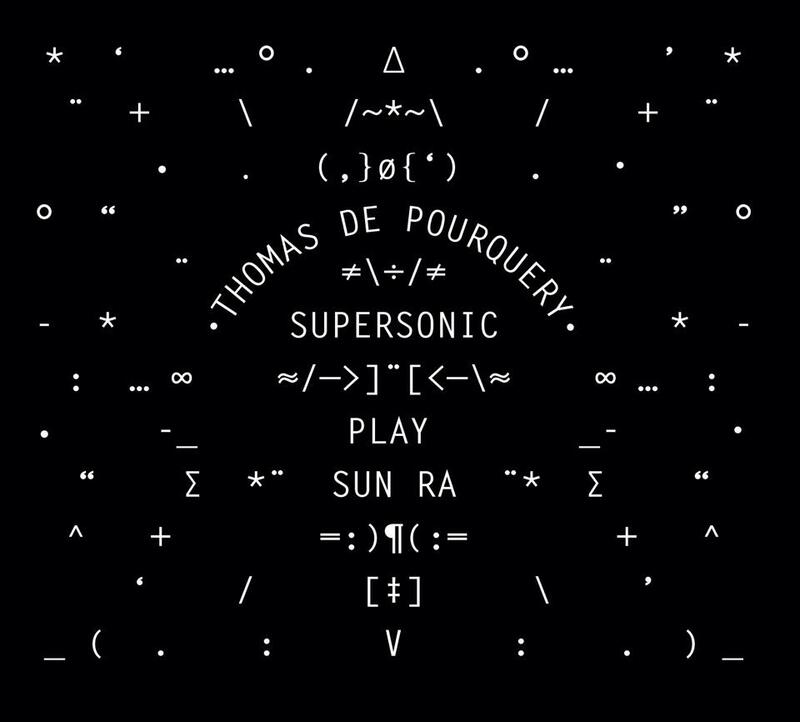 The latest news from Thomas De Pourquery and his band Supersonic. Remembrances of the incredible scene at the Gnawa Festival in Morocco danced across the head as the band Bombino, with guest Italian trumpeter Roy Paci, delivered some Tuareg-inspired joy at the Summer Music Village, to the delight of a reactive, all ages crowd pressing the stage. Therein lies one of the local joys of Bari in Jazz: families and all ages are encouraged by the tariff – it’s free-of-charge! Our host and director of Bari in Jazz Koblan Amissah arrived in Bari from Cote d’Ivoire over 20 years ago as a student, fell in love with the place and shares that love with visitors.